Fan of technical gaming slots will surely appreciate the release of Lucky 7 slot. The game first came into the public limelight in the year 2009 with the mobile version appearing four years later in 2013. Betsoft, the creator of the title offers a cinematic 3D gaming experience with a chance to win a progressive jackpot. 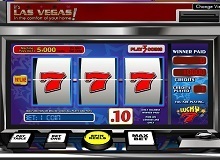 The entire game has been made to emulate a classic real-time slot machine that is a regular feature of physical casinos. All the features you see here in the title has been made as par with physical slot machines that you come across in places like Vegas to physical casino outlets in malls and gaming zones. The layout of Lucky 7 slots game may seem to difficult to comprehend but it only takes getting used to. As you make your way further into the game, it becomes quite simple. 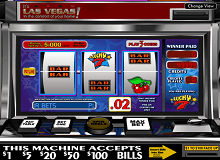 The production has been set in a real-time pokie setting complete with single, double and triple bars as well as a myriad of colourful symbols like the red and lucky 7’s. To emulate the feel of physical casinos, even the sound and musical sequence have been made with pinpoint accuracy. The result is an old-school fruit machine with the right amount of characterisation that has attracted many gamblers over the years to it. Wilds: There are no wild symbols here either which make up the slot. Free spins: The absence of scatter symbol means there are no free spins round within the game either. 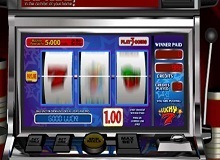 The absence of any kind of standard slot features means that any of the bars on the winning line pays, any two cherries combination on the reels pay. All you need to do is fill up the win line with symbols to a cash form. Any three lucky 7’s on the reels will trigger the jackpot and pay you 1000X for one and two coins but 1667X if you possess three coins. So remember to put up three coins if you want to win it big. One can play Lucky 7 slot machine online on a number of different casinos online today. Most casinos feature titles by prominent developers such as Betsoft on their portals. All you need to do is register with an account and deposit money to start playing. As there are no standard features of slots here, a good strategy is to always go for max coin wagers i.e. three coins. 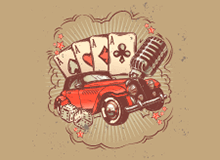 This provides you with a chance to get big winnings within the game. Apart from this, there are no hidden rules, cheats or tips as such in order to play the title. Gamblers can opt to play Lucky 7 slots for real money as well as for free. If you are not confident about any title and putting your hard earned money into playing it, you shall always opt for playing it for free. The Lucky 7 slot may seem complicated at first glance but is rarely so. This is a low volatility title that novice players should definitely try in order to get a basic gist about slots.